Yesterday the longlist for the 2015 Scribe Nonfiction Prize for Young Writers was announced. This prize, a collaboration between Express Media and Scribe Publishing, awards $1,500, 10 hours of editorial time with a Scribe editor or publisher, and a year worth of Scribe new release nonfiction. There’s been a bit happening here, so I thought a general update post might be in order. 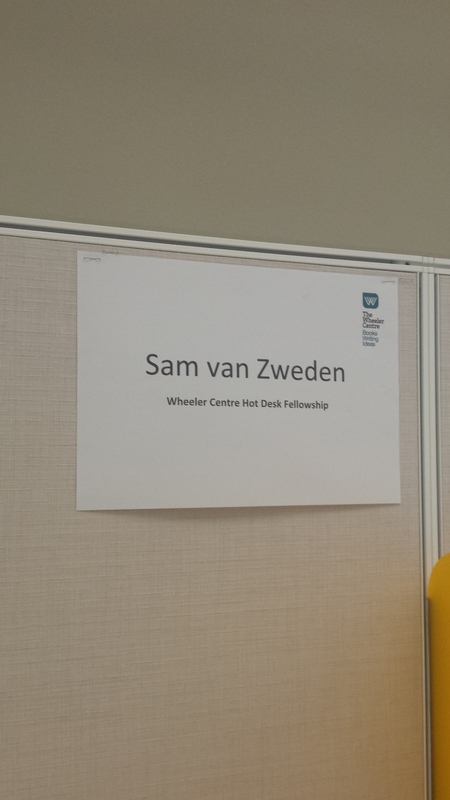 First, my good news: I’m a program intern at the Melbourne Writers Festival! I’m there one day a week, and while I’ve only been there for two weeks, I’m having a great time. So far it’s involved lots of research, looking at writers and their work so that the festival can sort out who should talk about what, and when, and with whom. It helps the festival, but it also helps me: I’ve got the down-low on all the guests, so I know who to swoon over when the festival comes ’round. (Confidentiality agreements have been signed, so sorry folks, but it’s all under wraps!) I’m really lucky to be working on such an amazing festival, and with such a great team. I’ll be with the festival until September, and I couldn’t be more chuffed. 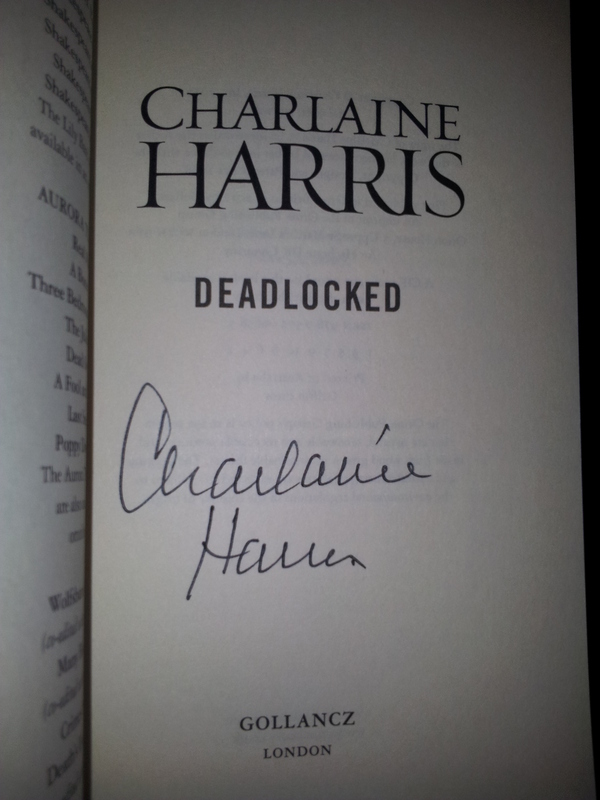 A big thanks has to go out to BookWorld, who kindly awarded me a signed copy of Charlaine Harris’s Deadlocked – a Sookie Stackhouse novel. They gave this book away on Twitter, and I won just for RTing. The Sookie Stackhouse novels are a big indulgence for me, so I’m feeling pretty lucky right about now. In the last few weeks, I’ve been gaining a ridiculous amount of new followers via WordPress – hello! Welcome to LGWABP, I hope we have a long and happy relationship. Your presence here is so very welcome, but something of a mystery – WordPress stats haven’t seemed to track the reason for the spike. If you have time and inclination to comment, I’d love to know how you found me! In other, non-wordy news, I’m getting right back into training in preparation for Run Melbourne in July – mental health is something close to my heart, as I’m sure it is for many people, so if you’d like to donate to the cause and make me feel more guilty about training to run this 5km, please do! If this blog were a child, it would be starting to develop some proper focus skills, able to block out distractions and play more attentively. Its language would be starting to really develop, and things like narratives would be starting to make proper sense. It wouldn’t be so rad with numbers, but because this blog is about books that’s not so important. This blog is three years old today – I’m celebrating with cider and cake, and I expect you to also! While it’s a bit tongue-in-cheek to draw this comparison between a blog and a toddler, it’s also a kind of nice thought. Three years old is when humans start to really be able to play with language, understand and share stories. For a blog about books, writing and words in general, that’s a pretty significant place to be. Thanks to all the people who always show up to read my words. I appreciate your time, your chats at events and festivals, your generosity in telling me when I’m doing well, and you engagement with the things I do on here. Here’s to the many years to come!